Eating food contaminated with harmful substances will have consequences that can be quite serious. To help organizations in the food chain prepare, pack, distribute and sell food that is safe to consume, ISO has published an International Standard called ISO 22000 on Food Safety Management Standard (FSMS). The Current standard ISO 22000:2018 provides the requirements for establishment, implementation, maintenance and continual improvement of aFood Safety management system that aims to identify and control food safety hazards. Organizations in the food chain, irrespective of its sizecan choose to implement theISO 22000 FSMS standard to confirm their commitment towards food safety. Inzinc panel consists of experienced ISO 22000 consultants in India who ensure proper establishment and implementation of ISO 22000 standard. 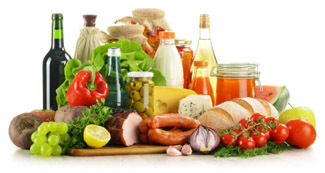 Food Safety management system (FSMS) is the part of an organization’s management system that is used to establish and implement its Food Safety policies, objectives, programs, procedures, processes, documents and resourcesaimed at controlling the food hazards to make food is safe at the time of human consumption. With good industry experience in the documentation and implementation of ISO 22000, we are glad to be one of the leading ISO 22000 consultants in India. The following are the standards that comprise the ISO 22000 family. Of these standards, only ISO 22000 is the auditable standard while the others support the ISO 22000 standard by providing guidelines / pre-requisites. Our ISO 22000 consultants in Bangalore, Mumbai, Chennai, Delhi India have sufficient experience in documentation and implementation of Food Safety Management System.